What do Similac baby formula maker Abbott Labs, gardening and lawn care products’ vendor Scott’s Miracle-Gro, luxury car manufacturer Lexus, and teenage girls clothing retailer Charlotte Ruse — all have in common? Though their businesses are vastly dissimilar, they all have a unique online presence that engages visitors, entices them to revisit their site, and ultimately leads them to take desired business actions. The best part is all of this is accomplished without any brash, in-your-face promotion. Unfortunately such winning Web sites are more the exception than the rule, laments Ron Rogowski, principal analyst at Forrester Research. “Instead most of today’s Web experiences leave audiences experiencing an emotional void.” The Forrester analyst was speaking at the recently concluded Advertising Week conference in Toronto. Rogowski, who works out of the Forrester offices in San Francisco, has spent several years studying how brands can succeed online through their customer-facing Web sites. “We evaluate sites, scrutinizing them to see if they have what it takes to engage target audiences, getting them to take specific actions,” he said. Most sites fail the test. And they don’t even pass muster in something as basic as usability. In a Forrester study of 1,300 Web sites conducted between 1999 and 2009, a mere three per cent cleared the “usability” test. The rest had unwittingly set up a myriad user experience roadblocks. Disjointed experiences – Sometimes totally incongruous material was placed side by side on the same Web page. Or else the user experience across different media channels was inconsistent. “You get one experience through the brand’s print ads or TV commercials, but that isn’t carried through to the Web site,” Rogowski noted. 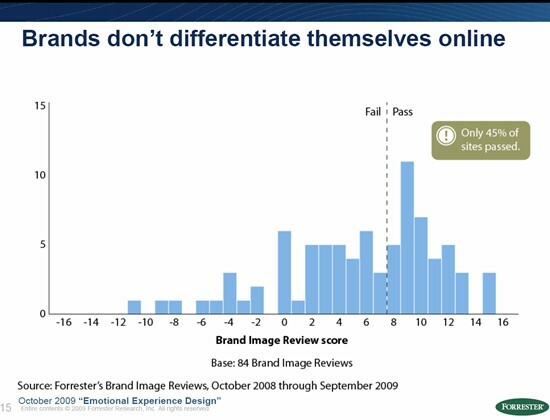 Anaemic brands – Most brands (55 per cent) didn’t adequately differentiate themselves online. “Across the Web, shopping experiences are starting to look generic,” Rogowski rued. The brand experience is getting tepid. By contrast, he said, the few sites that do powerfully engage their audience do very specific things that fuels their spectacular success. 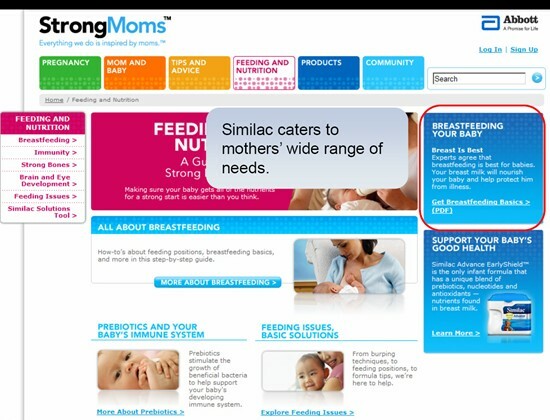 Why on earth would a company that makes baby formula promote breast feeding on its Web site? But by doing that Saint-Laurent, Québec-based Abbott Labs proved a core marketing principle: gain a customer’s trust and you’ll very likely gain their business. Rogowski recalled how the firm’s StrongMom’s online campaign exemplified this principle. He said the StrongMom’s campaign established a powerful rapport with Similac’s target customers – new moms – by responding to their need for quality information about the care of their infants. From a business standpoint this strategy probably leads to better results than brashly promoting products without understanding and responding to your potential customers’ real needs, Rogowski noted. Getting people all excited about fertilizer isn’t easy. That’s why Scott’s Miracle-Gro’s Web site didn’t even attempt to do that. The Marysville, Ohio-based company manufactures a range of consumer products for lawn and garden care, and professional horticulture. But visit the firm’s Web site and you won’t be assaulted by a laundry list of their products. Instead, as Rogowski noted, Scotts has successfully positioned itself online as an expert provider of lawn care and gardening advice. To that end, their site is replete with valuable information on everything from healthy grass growing tips — through smart mowing, feeding and watering, to flower gardening best practices, to hints on how to attract songbirds, butterflies and other friendly critters to your yard. 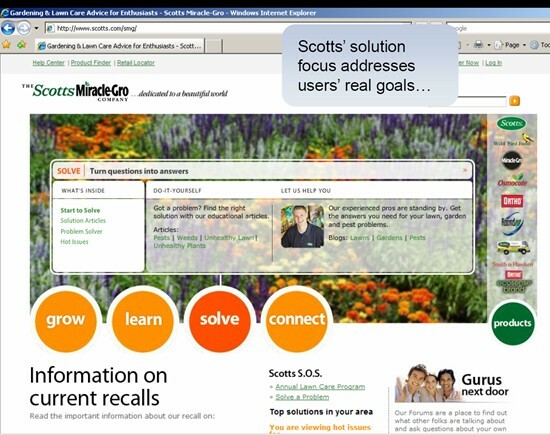 This positioning strategy is apparent from the section tabs at the head of Scotts’ Web site: Grow, Learn, Solve and Connect. The site is a mine of horticultural information, features a “learning library”, as well as a bunch of videos covering everything from on how to keep up your garden to very handly video tutorials on specific projects such as: growing tomatoes in a pot, planting bulbs, and repairing bare spots. Rogowski said the approach works well because it addresses a pervasive home owner’s need — to create a beautiful lawn. “This is emphatically not a site where they just push products at you.” But by educating you about all the wonderful things you can do to beautify your lawn, you are enticed to check out their offerings, which can make it all happen for you. 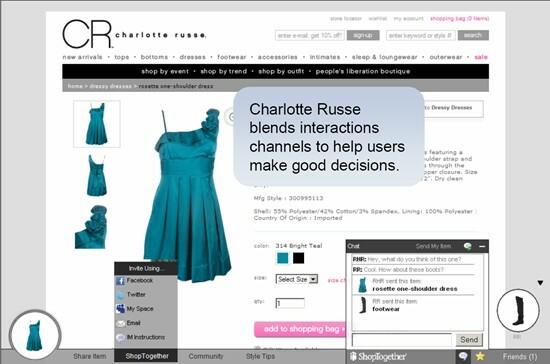 Rogowski cited the Web site of Charlotte Russe – a U.S. clothing retail chain – as a great example of effectively integrating social networking into the shopping experience. Products of San Diego-based Charlotte Russe are targeted mostly at teenage girls and women in their twenties. A feature called “Shop together” enables online shoppers on this site to invite friends via Facebook, Twitter and MySpace to be their shopping companions. The site, he said, accomplishes this both through the powerful copy as well as the high quality visuals and videos. “They use language like: The Polar Opposite of Roughing It. As you go through the site, and review the interior descriptions and images, you get the feeling you’re melting into the buttery leather seats. 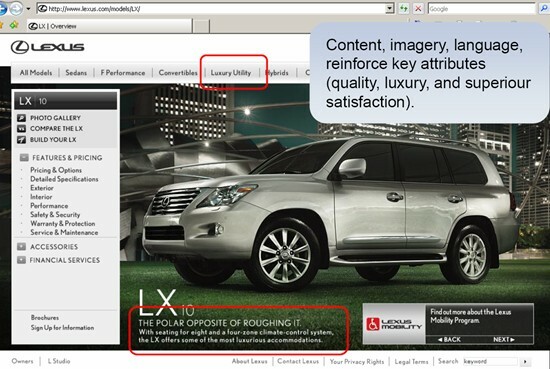 That — along with the high-quality Lexus “quick guide” and “how to” videos” — effectively communicate their brand attributes of quality, luxury, superior satisfaction, he said. 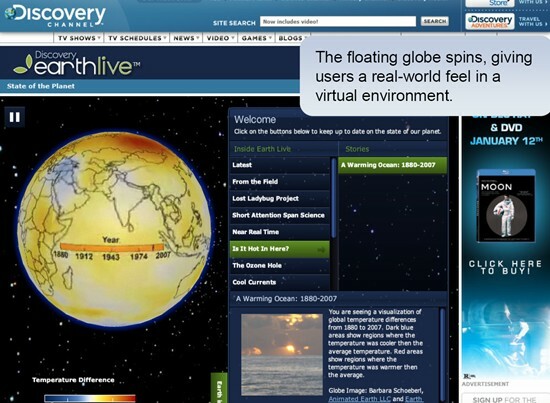 Discovery Earth Live, an online project of Discovery Channel, is yet another example of a site that engages visitors through a purposeful, tactile experience, Rogowski said. Clicking on various buttons within “Earth Live” gives you a visual flavour of things like the “ozone hole” at various periods of time from 1979 to 2008. One really cool feature of the site, he said, is the ability of visitors to place their cursor over an image of the earth and get it to spin around at the speed they want it to.